1 Can Spot on Flea Treatments hurt your Pomeranian? 1.4 The main problems cats and dogs faced were related to their GI tract, skin and nervous system. Unfortunately the sad truth of the matter is, Yes. The use of spot on flea treatments have caused many health issues in Dogs and Cats. In rare instances, these products have resulted in animal deaths. Spot on flea treatments are actually poisons, with the dosage finely tuned to allow for your dog’s safety, yet at the same time kill any parasites. Pomeranian owners learn very quickly that their Pom is one of the family, not a mere creature kept outsider on a leash all day. Owners lavish praise when necessary and love their dogs very much. Unfortunately, Poms can’t speak English and tell you when something is wrong. So it’s critical that you closely watch their overall behaviour to determine if problems do exist. Catching and diagnosing illnesses such as toxic poisoning and overheating needs to happen as fast as possible. This may occur if he travels with you in your car, but is more serious if he’s made to travel in a plane. The sooner he’s healed from toxic poisoning or overheating, the better he’ll become. Poms with their long hair have a great area for little parasites to hide. If your furry bundle of joy is scratching, it may be due to fleas. If it persists, then you need to take action It’s very important to use the right treatment because some may harm your Pomeranian. Getting fleas, Lyme disease, tape worm and various other pests is a serious matter, but at times the cure causes serious health issues. With many over the counter flea treatments there is a risk to your Pomeranian’s health. In small dogs, like Pomeranians and other toy breeds, this happens even more. Most side effects were found in dogs that weighed 10 – 20 pounds. Mixed dog breeds had more reactions and the dogs in the highest risk group included: Pomeranians, Maltese, Bichon Frise, Dachshund, Miniature Poodles, Chihuahua, Shih Tzu and Yorkshire Terriers apparently had the greatest risk. Small breeds also seemed especially affected by products containing permethrin and cyphenothrin. Incidents happened most frequently in dogs under the age of three, mostly the first time they came into contact with a spot-on product. The main problems cats and dogs faced were related to their GI tract, skin and nervous system. GI problems included: diarrhoea, vomiting and excessive salivation. Skin issues included: itching, redness, sores, hair loss and ulcers. Nervous system troubles included: seizures, tremors, ataxia (movement issues), nervousness and lethargy. These risks started increasing a number of years prior to the study after spot on flea treatments were being sold over the counter. This meant a vet visit wasn’t necessary to buy these medications. Secondly, vets weren’t able to provide owners with practical advice BEFORE products were purchased. Generic brands began to match brand names in terms of sales. This wasn’t a good situation because the medication (which is actually a pesticide) is applied to your Pomeranian’s neck. Usually, at the very back of the dog’s neck. 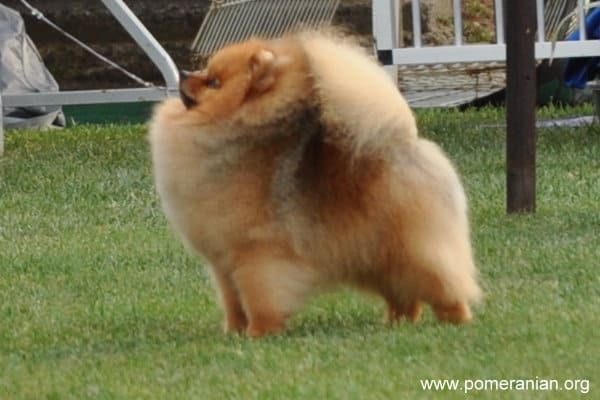 The pesticide is placed at the rear of the Pom’s neck so he doesn’t lick it. The pesticide’s job is to kill fleas without harming your dog. If you see a vet before buying a product, you’ll be given sound advice on where and how to apply the treatment. After generic brands were introduced to the marketplace, risks of harm increased as chemicals in these products were different or stronger. If you need to deal with fleas on your Pom, talk to your vet first (ideally a holistic vet if available). Then you’ll be given professional advice regarding the type, dose, location and frequency of the flea treatment. Caution is required when using all types of flea treatments. If your dog does not have fleas, your home and yard is flea free and the dog does not go to public places, DONT give unnecessary treatments. I don’t feel comfortable with a Pomeranian wearing a flea collar at any time. Fleas are usually more active during the summer months. Think about the option of not using Flea treatments on your Pom dog during the winter period. BEFORE using any Flea Treatment in your Pomeranian dog, please contact your breeder for safe flea treatment options. Also do a quick Google search. There is plenty of information out there about dog’s who have had their life’s cut short as a result of these treatments. Your Pomeranian MUST be weighed properly. This is critical because calculating dosages for flea treatments is based on body weight.If you have two or more Poms, don’t split the same treatment product between both animals because it’s unsafe. Don’t use any flea products on pregnant or older dogs. Always read full instructions carefully and ring your vet if you have questions BEFORE using it. 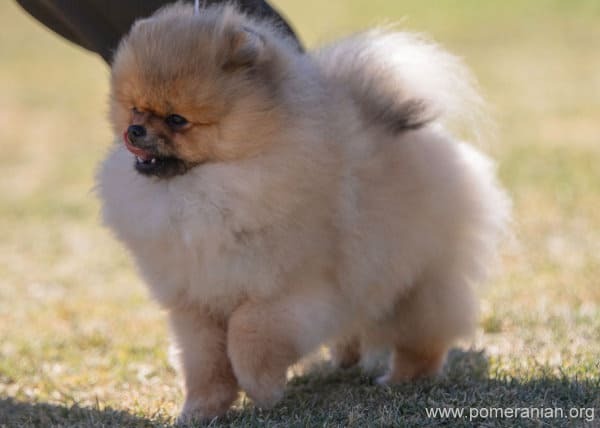 Once it has been applied to your Pom, you need to monitor him to ensure there are no bad side effects or behavioural alterations such as diarrhoea, vomiting, twitching, excessive salivating, disorientation or seizures. If anything like this happens, stop the treatment and ring the vet urgently to find out what to do next. You may be able to resolve the problem. If not your vet will be more than happy to help you protect your beloved Pomeranian. 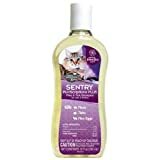 If you wish to bath a Pomeranian in a flea and tick shampoo ALWAYS choose a product which is recommended for cats. Shampoo advertised for use on Cats and especially kittens are usually a safer choice. 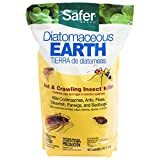 Safely and efficiently kill fleas in the home environment with Diatomaceous earth. Diatomaceous earth, also know as DE is a safe product. DE is an all natural white powder consisting of the fossilized remains of organisms. 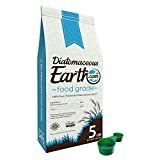 Diatomaceous earth is not to be used on your dog directly. Sprinkle food grade diatomaceous earth on your carpets and floors to kill fleas living inside your home. DE may be used in your garden, but only on dry grass as moisture reduces the effectiveness of this product.